There’s a beautiful home / workspace on Bloesem today including this great thread display / storage idea. 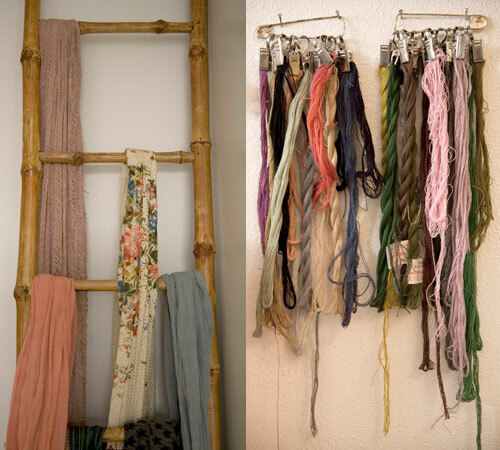 The scarves on ladder idea is one I really like too, but don’t have the space for it at home. I’ve got an old clothes horse in the studio which I use for displays, but have pondered using it just to arrange current favourite fabrics in the studio. I’m still working out how to best use my newly-rebuilt studio, but seeing as I’m spending most of my studio time at the computer, it’s not very urgent!